It has long been known that red or near-infrared laser light promotes tissue repair and regeneration and low-intensity light called low-level laser therapy (LLLT) stimulates cellular activity. It has been tremendous interest in using these laser devices to treat various medical conditions. This treatment is suitable for male and female. LLLT has shown beneficial effects for a variety of medical conditions such as wound healing, nerve regeneration, joint paint relief, stroke recovery, and the prevention and treatment of mucositis. How does Laser Hair treatment works? LLLT preserves and stimulates hair follicles through a process called phototherapy, where specific wavelengths of light from laser diodes increase blood flow and cellular energy production to the hair. This pain-free process helps make hair cells function better, improving hair quality and strength. Whether used in combination with other nonsurgical treatments or hair transplant procedures, LLLT has the potential to significantly slow down hair loss and promote hair growth by improving the health of hair follicles. 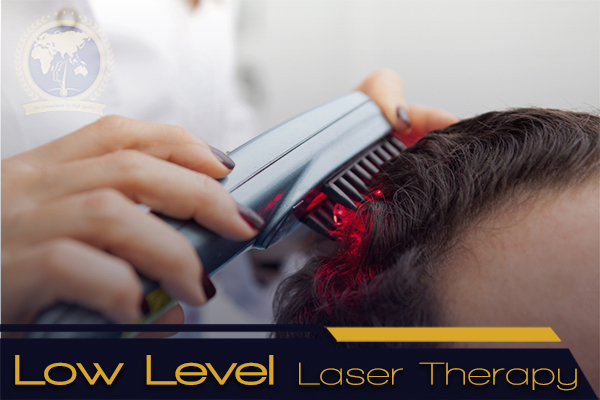 Laser Hair treatment and therapy.